When Lucy Laucht contacted me about photographing her Brooklyn wedding day, I almost squealed a bit because the Lucy Laucht emailed me. Their wedding day was just as amazing as I could have pictured. They got ready at the Wythe Hotel and got married at North Brooklyn Farms on the East River. Lucy and Paul did a first look on the streets of Brooklyn and we wandered around in the rain the rain around Williamsburg. 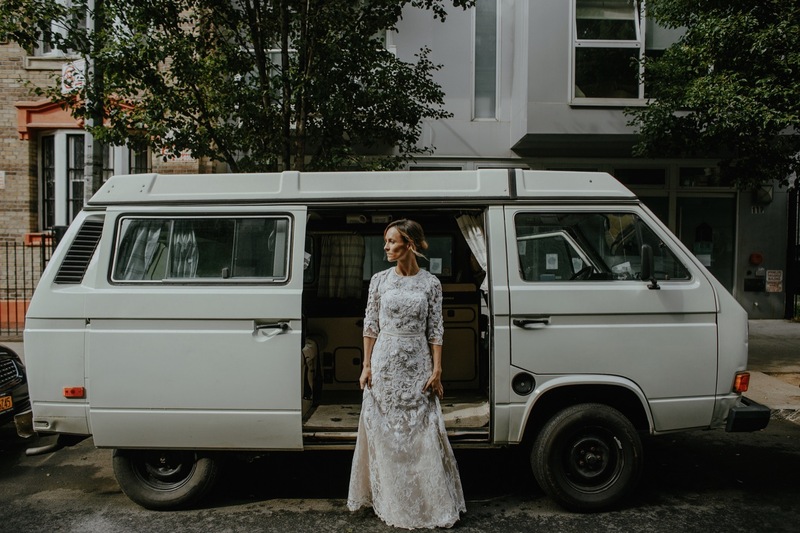 Lucy's dad drove their VW Vanagon to the ceremony (which might have stalled out twice during the couple block drive). And they had a busker from the L train perform after the ceremony to set the mood for the reception. Such a dream of a day. Also, check out this wedding featured on West Elm!